Guest post by Sean Patrick Hopwood, MBA, president, Day Translations, Inc. 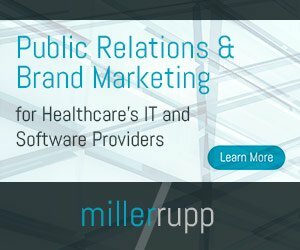 While no one can deny that electronic technology has made giant leaps towards protecting patient information and preventing errors and misuse, you may be surprised to learn that many health care practitioners and facilities are still cutting corners when it comes to medical translations or interpretation. Inaccurate medical interpreting, or translations carried out incorrectly have the potential to put patients’ lives at risk, and there have been several cases of medical mistranslations documented that have led to severe complications, incorrect diagnosis, and even death. In 1980, a young baseball player called Willie Ramirez was taken to a hospital in South Florida, in a comatose state. A medical interpreter was called in to translate the family’s explanation of events; however, the interpreter was not familiar with the Cuban Spanish word “intoxicado,” which was translated as intoxicated, and the doctors assumed that Mr. Ramirez had taken a drug overdose. This is one of the most famous cases in history of inaccuracy in medical interpretation, as what seems like a fairly small error led to the young baseball player waking up as a quadriplegic. How? Well, in Cuban Spanish, the word “intoxicado” means to be sick after ingesting something, which could be a food, drug, liquid, or anything else that could cause a person to be unwell. When Ramirez’s doctors dismissed his case as an overdose, they failed to consider other possibilities and overlooked the fact that the patient was actually experiencing bleeding in the brain. By the time the mistake was detected and the proper course of treatment initiated, it was too late. The damage had been done and no amount of neurosurgery could reverse Ramirez’s quadriplegia. If ever there were a more heart-wrenching tale than that of Ms. Guevara’s, it would be hard to imagine, and this tragic example of a medical facility’s negligence has been hotly disputed over the last couple of years. Because of the absence of a medical interpreter, Ms. Guevara was accidentally given a prescription to induce abortion after apparently replying “yes”, to a question she did not understand. While the doctor was asking her if she wanted to abort the baby, Maria thought the question was whether she wanted to keep the baby, and with no professional medical interpreter to translate between herself and the doctor, the outcome was losing the baby in a Californian hospital where almost half of all patients are Spanish speakers with English as their second language. Occurring in 2013, the case of Guevara has forced the medical profession to come to terms with the real risk involved in inaccurate or total absence of professional linguists on hand to avoid liable and save lives; especially with the Hispanic population set to outnumber white Caucasians by 2060. While mistranslations of manuals and instructions may seem less serious than an interpreter in a life or death situation; mistranslations can be just as dangerous, like the case of 47 incorrectly implanted knee prostheses in a hospital in Berlin, Germany. But how on earth could 47 prostheses be incorrectly implanted? Because of a simple error in translation in the medical instruction manual. The English text stated “non-modular cemented prostheses,” which was then translated as “prostheses that do not require cement,” leading to the incorrect implantation, discomfort and pain of the patients involved, with half of the patients in question deciding to be re-operated on to fix the defect. Lack of professionally trained medical interpreters and translators puts practices and patients’ lives at risk, and yet so many medical facilities are still relying on a family member or member of the hospital staff to translate on behalf of a patient. But family members don’t have the training, context, or medical terminology, and staff members are unable to be impartial (and may not be correctly trained either, depending on their position) and may be unfamiliar with certain dialects. Access to competent medical interpreters is deemed as a patient’s right in the USA, and federal law stipulates that the provision of assistance to patients who are not competent in speaking English must be respected. State laws vary and there are more stringent requirements in place in Texas and California, triggered by the case of Ms. Guevara. However, despite legislation and the fact that hospitals and other healthcare providers can be sued if they do not provide a competent medical interpreter; the reality remains that many healthcare facilities continue to keep willfully disregarding policies, and even the law. This is likely to cause great problems for healthcare facilities in the future, as patients now have the right to complain if a facility fails to provide them with a qualified medical interpreter. Penalties will range from large fines to imprisonment, and where incompetent translations lead to a case of malpractice (such as that in Berlin), the people involved can even be stripped of their licenses and imprisoned. As the population of the States continues to diversify and growing protection is put on place for patients in healthcare facilities, the need for professional medical translators and interpreters will clearly grow. All potential personal should be clearly vetted and trained to reduce the liability of the healthcare practice and they will of course need to be fully HIPAA compliant and trained on these best practices. If the medical industry can just shift their thinking to understand the importance of and the problem that language barriers can cause, more deaths and complications can surely be avoided.